A combination pleural and pericardial effusion is more common than we realise . Here is a patient with both effusions. Careful echocardiography is required to identify both . 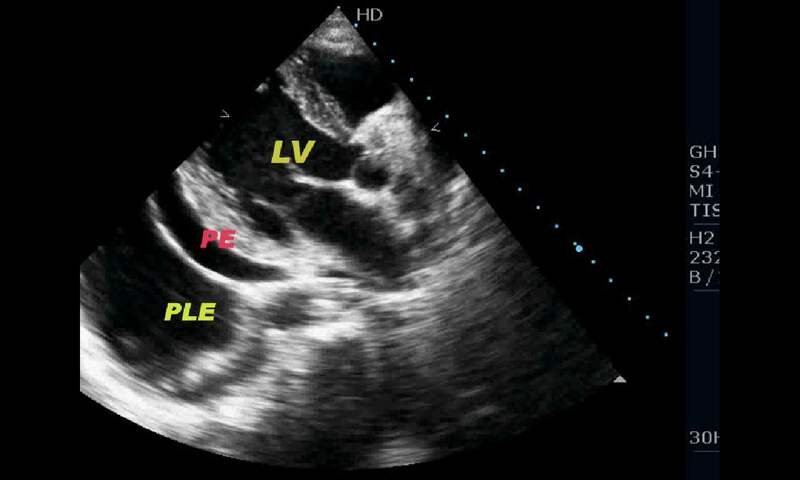 Large left pleural effusion can mimic a pericardial effusion some times . A useful clue is looking at the LV apex.It is invariably free in pleural effusion. Is there a anatomical continuity between pleural and pericardial spaces ?